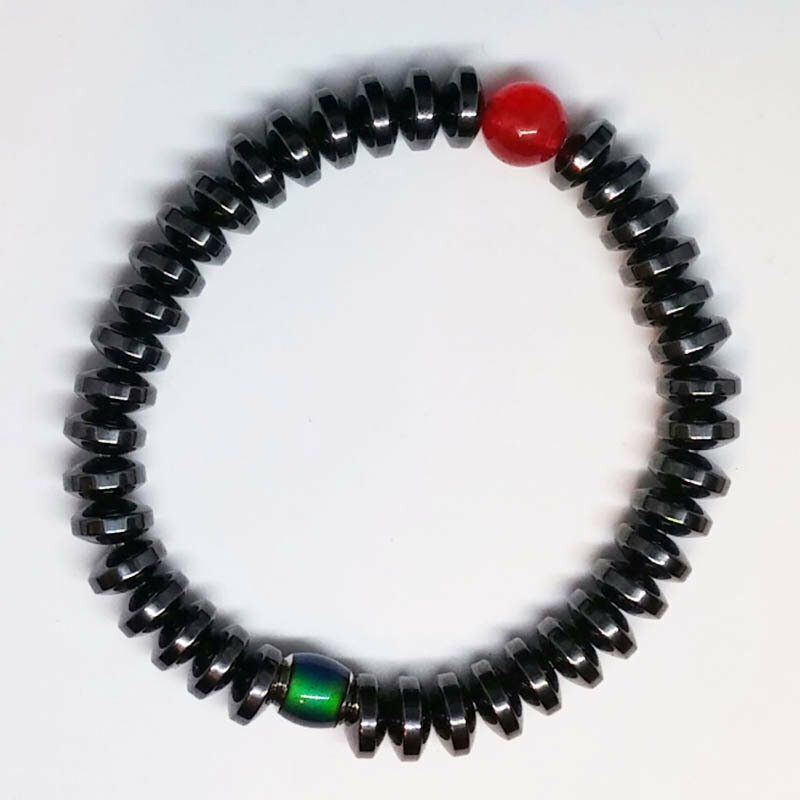 Hematite 5x8mm rondelle beads (magnetic) adorn this stretch bracelet with a red carnelian bead in the center, and for a cover bead, a color-changing bead (remember the mood ring? Same concept) Great for men or women, this bracelet is truly "attractive." 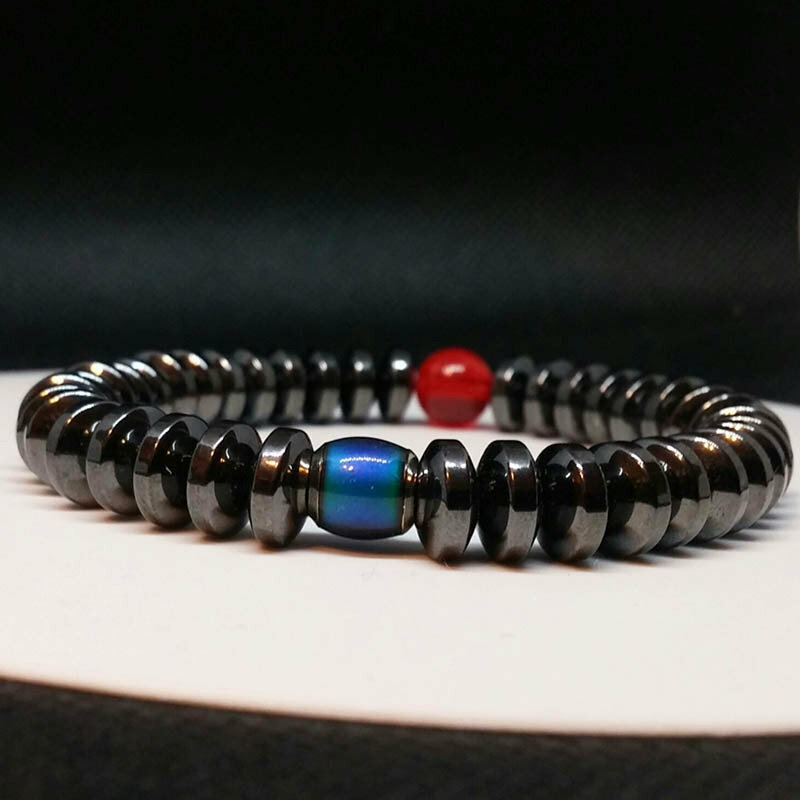 You will be impressed with the classy appearance and the sturdy weight of this bracelet. Hematite has been used for many years to help with headaches and chronic pain, and carnelian is said to be beneficial to the heart.